Friday is the deadline for the University of Maryland to submit details about its governance structure to a non-profit association in connection to the institution's accreditation. COLLEGE PARK, Md. — Friday is the deadline for the University of Maryland to submit details about its governance structure to a non-profit association in connection to the institution's accreditation. 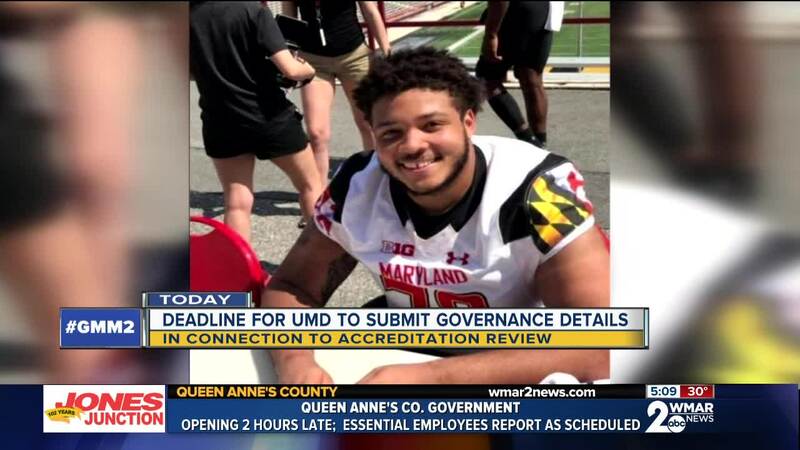 The university is under fire after sophomore football player Jordan McNair died in June of last year when he suffered a heat stroke at practice. His death led to the termination of head football coach DJ Durkin . Now, the middle states commission on higher education is reviewing the university's accreditation. If the university loses that, students wouldn't be able to get federal financial aid. UMD's accreditation was just renewed in 2017 for the next eight years, but the commission still plans to review its main accreditation.